Sports that are suitable for preventing thrombosis include swimming, aquagym or cycling, as well as running and walking. Also suitable are sports such as golfing, dancing and cross-country skiing. Rather unsportsmanlike persons should at least go for regular walks or hiking. Swimming also strengthens the blood circulation, but the water should not be too warm here. A pool temperature of up to 28 ° C is considered recommended. Those who are prone to diseases of the veins should avoid weight training or all ball games such as football or ice hockey. 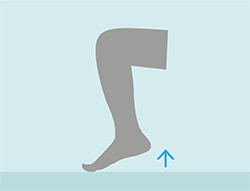 To keep the vessels healthy and to prevent thrombosis, simple venous exercises can help, since they prevent the blood from sinking into the legs. Especially recommended are the exercises also when traveling by plane or bus, during longer car journeys as well as with limited walking ability. 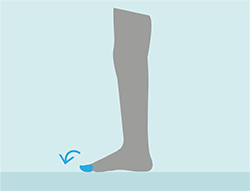 Raise one leg, extend and retract the toes, then lower the leg and continue with the other leg. Repeat the exercise 20 times. Raise one leg and draw an 8 in the air with your foot. Then repeat with the other foot. The feet are spread shoulder width. Then firmly press with the back of the hand against the inner thigh. The thighs at the same time also press inwards. Withstand this process for about 5 seconds. The exercise is repeated, but now vice versa. This means that pressure is now exerted on the thighs with the hands from the outside, while the thighs are counteracted with pressure to the outside. Alternately lift the heel and toes of both feet. Sit down straight and put your feet parallel to the floor. Tense your buttocks and slowly lift yourself out of your seat without getting up. Hold the tension for about 3 seconds. Raise the toes at the same time, keeping your heels on the ground. Now slowly roll your feet until you are back on tiptoe. 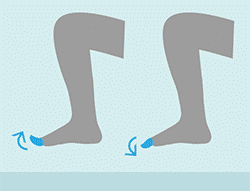 Press both heels on the floor and pull the toes up as hard as possible. Hold this tension for about 3 seconds. Then press the toes firmly on the floor for about 3 seconds. Cold showers or alternating showers between cold and warm water stimulate the circulation. The temperature fluctuations in cold water should be between ten to sixteen degrees and the subsequent hot water at 38 degrees. It is recommended that the applications are always finished with a cold water. A welcome change that is still fun is water treading. On the other hand, too high temperatures should be avoided if there is a tendency to thrombosis diseases. These include extensive sunshine, sauna or hot baths. Every day two liters of liquid should be drunk, it is particularly hot, it may be three liters. Unsweetened herbal tea or low sodium mineral water are best. Coffee and black tea are not included in the stated amounts and should only be consumed in moderate amounts. The same applies to alcohol, which is about twenty milliliters for men and ten milliliters for women. One eighth of a liter of wine or one quarter of a liter of beer is equivalent to about ten milligrams of alcohol. High heels also help to increase the risk of thrombosis. Flat shoes or models that only have a slightly raised heel are best suited. Also recommended are comfortable shoes that are not constricted and provided with a good footbed insert. In between, barefoot running is also optimal, because that is also healthy. Occupational groups associated with prolonged sitting or standing are more prone to thrombosis. Therefore it is recommended to relieve the legs whenever possible. 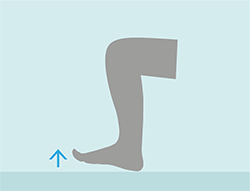 This can be uplifting your legs, but it also makes sense to get up in between and take a few steps. 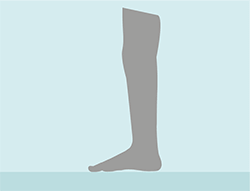 The legs should be loosely shaken as well as alternately stretched and bent, so that the blood circulation gets going again. Anyone who practices in the office or has a fundamentally sedentary occupation should choose a chair that has little padding. 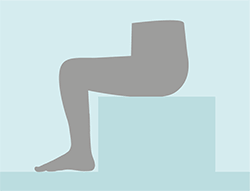 Also, a footrest can bring beneficial relaxation and minimize the risk of thrombosis. 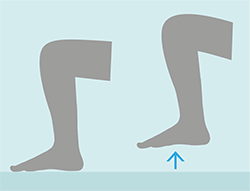 Also place your feet flat on the floor and strain the underside of the thighs as little as possible. If you have been classified as a high-risk patient or have already been diagnosed with thrombosis, heparin injections are the safest means of prophylaxis. This substance prevents the formation of venous thrombosis when injected directly under the skin. Anyone who regularly needs a dose of it, can be treated in the form of classic syringes with it or you use so-called pens, so short syringes, which contain the individually required dose. Alternatively, fondaparinux can also be used, but heparin is considered to be a generally recognized and proven remedy in professional circles. If the person affected not only thrombosis but also a tendency to bleed in the kidney, a correspondingly low dose should be used, since heparin has the side effect of triggering an increased bleeding tendency. The topic “aspirin and thrombosis prophylaxis” has long been very controversial. However, it is now known that aspirin protects against stroke and myocardial infarction for the prevention of angioplasty, stable angina pectoris or vascular disease. Regardless of gender and age, patients with an increased risk of diabetes or hypertension also benefit from the active ingredient acetylsalicylic acid (ASA). ASA can almost halve the rate of relapse in venous thromboembolism if no trigger is detectable. It is recommended to take ASA for the prevention of travel thrombosis. However, this is not an effective prophylactic measure. This substance acts exclusively on the platelets, which are not considered to be the cause of venous thrombosis. ASA is an important prevention pill in arterial thrombosis and embolism. Aspirin is therefore used primarily and secondarily successfully as an antiplatelet agent because it inhibits platelet function. Thus, ASA affects the blood clotting and reduces the adhesion of platelets (platelets). In small amounts (100 milligrams per day) the intake of aspirin is safe. Prolonged administration may cause gastrointestinal bleeding, gastric ulcers and asthma attacks due to side effects. In the venous leg of the vascular system aspirin unfolds only a small effect. However, as a secondary long-term prophylaxis, it represents a conceivable alternative. Accordingly, the risk of venous thrombosis decreases significantly in patients after hip joint and knee operations through the ingestion of ASA. Scientists in the PEP study recruited more than 13,000 patients who had knee or hip replacement and another 4,088 patients who had to undergo hip fracture surgery. Participants received either 160 milligrams of ASA or placebo over several weeks. The use of ASA reduced the number of pulmonary embolism patients by 43 and 29 percent. However, the physicians noted an increase in bleeding complications in the ASA group. ASA-based medications – such as aspirin – should not be used in conjunction with other anticoagulant medications as they may interact and inhibit anticoagulation.